Need to find suppliers, or be found? Need to find suppliers? Need to be found by other manufacturers looking for products? Today's supply chains are getting more complex and it is increasingly difficult for specific products and processes to stand out at the right time in the right context. For this reason CMTA has partnered with the National Association of Manufacturers to provide a database of manufacturers to connect one another to increase the supply chain pool and to grow the potential for lucrative contracts. 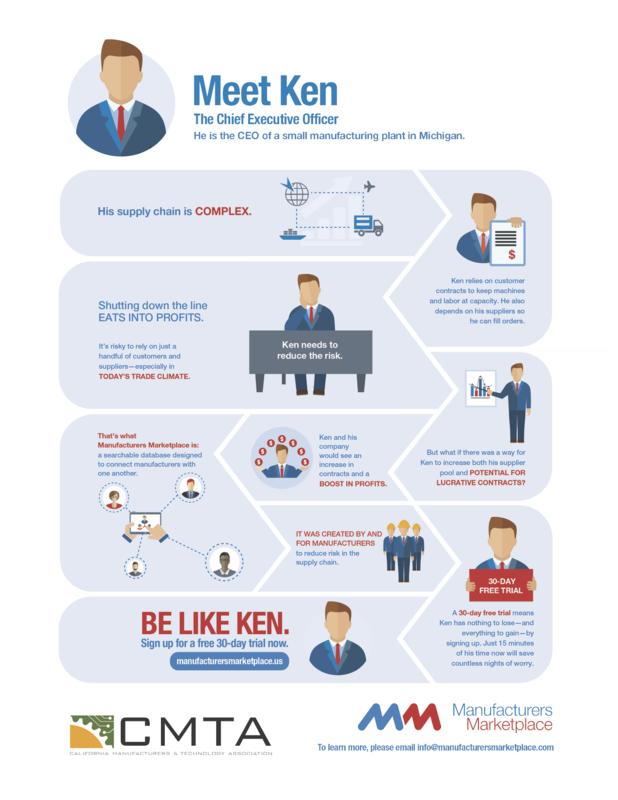 The Manufacturing Marketplace is built for you. The infographic below represents why you should give it a try.